When designing and constructing the ELHO Crosscut / Shredder the following criteria has been specifically highly ranked, it must be durable and well working, easy to use, have low maintenance and safe operation. 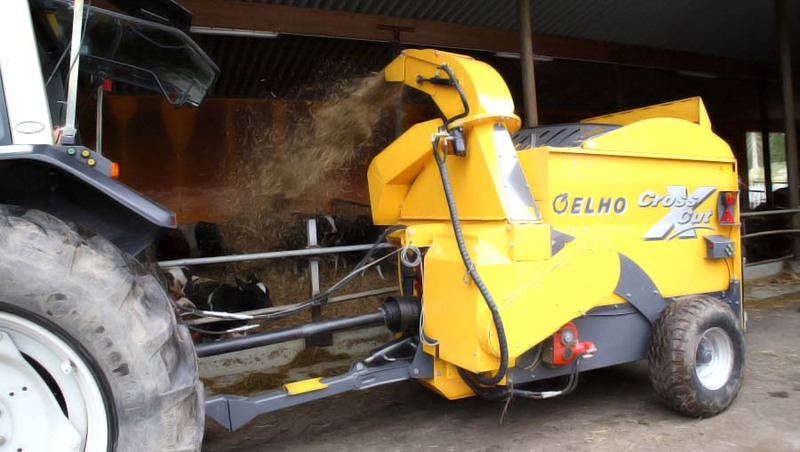 The ELHO Crosscut / Shredder is designed for feeding, bedding and shredding baled silage or straw and loose feed/bedding. 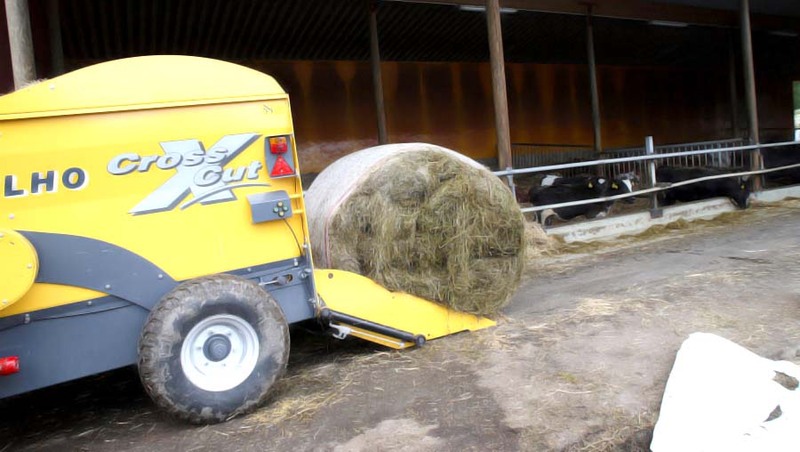 The functions are controlled from the control unit in the tractors cabin, the loader and the floor elevator can also be controlled at the rear of the feeder. 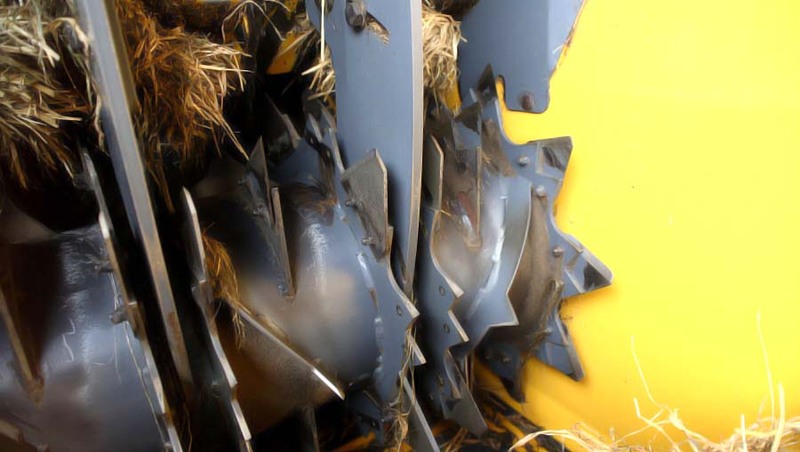 CrossCut cuts and distributes feed and straw from round- and square bales, silage and loose bedding/turf. The floor elevator has strong transverse ribs which safely moves, for example, heavy bales, even frozen, to the cutting rotor. When distributing silage the exhaust speed is reduced so that the feed does not end up in the boxes. The cutting can be intensified thanks to the tiltable draw bar which is standard equipment on the feeder.